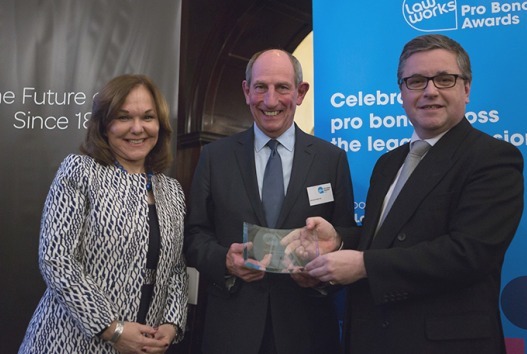 5th December, London – Mike Napier QC, Non-Executive Director at Harbour, received the “Outstanding Contribution to Pro Bono” award at the Lawworks Annual Pro Bono Awards. The awards celebrate excellence in legal pro bono and recognise organisations’ and individuals’ dedication. Mike’s commitment to pro bono has been unwavering throughout his career. In 2001, he was appointed as the Attorney-General’s pro bono envoy to promote pro bono activity by all branches of the legal profession and to co-ordinate links with the not-for-profit sector. He is a trustee of the National Pro Bono Centre and in 2005 he received his CBE for services to the law and pro bono.